Everton started the New Year with a determined performance to come from behind to defeat Newcastle 2-1 at St James Park. Everton suffered the worst possible start, falling behind inside two minutes, after catastrophic defending left Cisse with significant space to loft a bouncing ball over Howard and into the net at the Gallowgate end of the ground. Everton’s defending is becoming a genuine concern and it is now 16 Premier League games since the Blues last kept a clean sheet. What Everton have got in abundance is grit, determination and style. Just as Chelsea had done to Everton at the weekend, David Moyes’ men weathered the early storm and then slowly took a grip on the game. The development of this Everton team is perfectly demonstrated in their ability to grab hold of a game and strangle the life out of the opposition. On this occasion, Baines twice, Fellaini and Pienaar all had chances to equalise before a moment of brilliance brought the Toffees level. A foul on Fellaini 35 yards from goal presented Everton with the opportunity to level shortly before half time. The distance from goal should have been prohibitive, but not for Baines. The England left back struck a wicked free kick, that dipped and swerved through the air and past Krul and into the Newcastle goal. The second half started in similar fashion, however it was a much called for substitution that made all the difference. 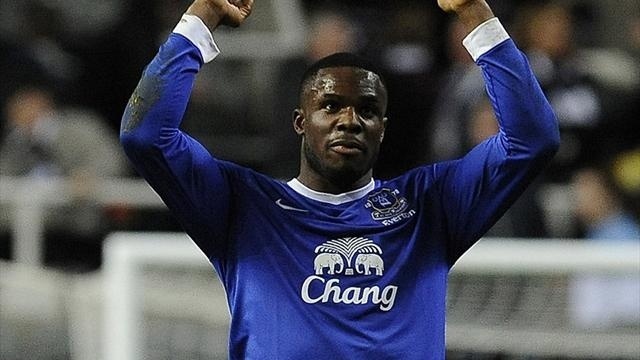 Shortly before the hour mark, Anichebe was brought on to replace the under par Naismith and within minutes the Nigerian put Everton in front. A clever ball from Baines down the line found Pienaar who linked well with Fellaini and Jelavic to leave the Croatian running dangerously at the Newcastle penalty area. With the Newcastle defence back peddling, Jelavic slipped the ball across for Anichebe to slide the ball home at the near post to give Everton a 2-1 victory.